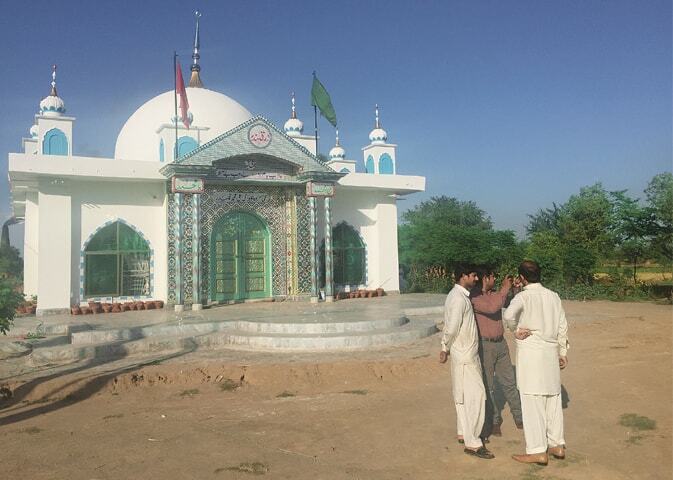 SARGODHA: Built on private land amidst lush farms in a village almost 20km from Sargodha, the shrine of the self-proclaimed faith healer, Ali Mohammad Qalandar, has been attracting hordes of villagers since news broke early this month about the massacre of 16 men and four women by its custodian in a cult ritual. Villagers said that Waheed, a former Election Commission of Pakistan employee, met Qalandar, who was also a government employee, in Islamabad several years back. 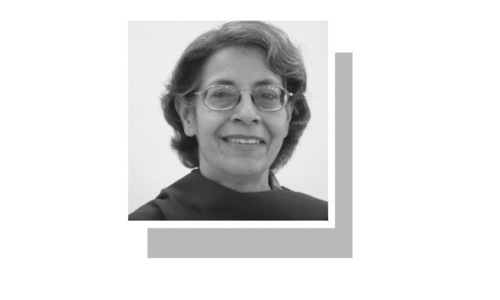 By that time, Qalandar had established his reputation as a faith healer. “The men developed a close relationship as they shared similar religious views,” said a man who claimed to know them well but refused to give his name. Locals say that during his visits to the shrine, Waheed used to “cleanse” his disciples of their sins by beating them with a stick. “No one minded that because such rituals are common in our rural areas. 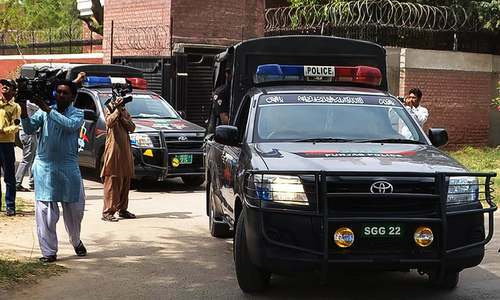 We had never received any complaint of violence,” said a police official on the condition of anonymity. 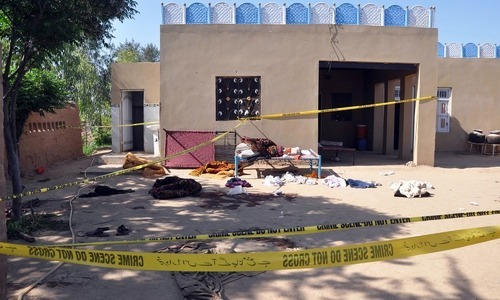 Such is the level of his followers’ devotion that initially, the families of his victims were not prepared to register a case against the suspect. “So we decided that one of our officials, who was part of the raiding party, should lodge it. Now, some of the victims’ families have expressed willingness to become complainants. But we don’t trust their intentions,” the anonymous police official said. Many consider the killings premeditated. Among them is Imran Iqbal, who co-owns a nearby kiln with Gulzar Ahmed and was the one to alert the police. Waheed had called him on Saturday night. When Iqbal reached the shrine at around 8:30/9:00pm, he says he saw seven or eight people, including four women, sitting naked on the ground in front of Waheed. “I was terribly frightened and when he asked me to sit in the queue, I couldn’t refuse. I don’t know if I saw a body. I also don’t remember how long I sat there with my eyes pinned on the ground. It was only after he started hitting one of the men — Ashfaque — that I stole off. His men followed me but I was lucky enough to escape through the fields,” he said. It can never be better in a country with 80% illiterate people. The government is just doing nothing to change the dark cover of illiteracy in our country. @Khuda Baksh MukatsaR Illiteracy may be one factor but it is not the only one. Such things, i.e. cults who lead their members to do any number of things, such as mass suicide, murders, violence for irrational reasons, are found all over the world, including the most advanced societies where literacy rate is almost 100 %. Just search google and you would find details.